At least 30 people including 27 children have died after a school bus fell off a cliff in India on Monday. 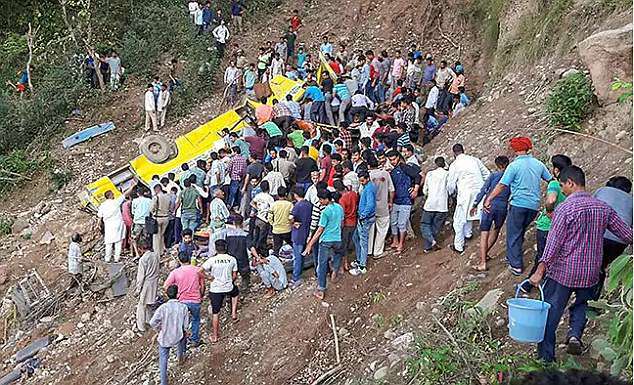 The bus driver and two teachers were also killed when the vehicle plunged 200ft into a gorge in the Kangra Valley, in Himachal Pradesh. Police say it appears the driver was speeding and lost control at the edge of the gorge before the bus rolled off the road. All students were from a nearby private school and are reported to be under 13 years old, according to NDTV. Images from the scene show the bus slammed into a slope at the bottom of the gorge before rolling and coming to rest upside down. A team from India’s National Disaster Response Force arrived at the accident site on Monday afternoon, and ‘rescue operations are underway’, it is reported. Around a dozen people were taken to the hospital, but there was no report on their condition or age. Rescuers were still digging through the wreckage after nightfall looking for more survivors, state transport minister Govind Singh Takur said. 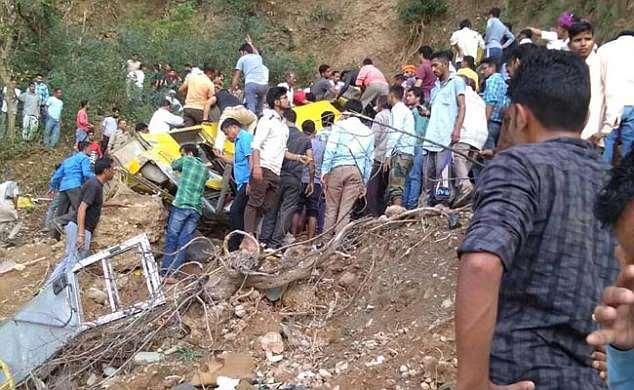 Prime Minister Narendra Modi tweeted after the accident: ‘I am deeply anguished by the loss of lives due to a bus accident in Kangra, Himachal Pradesh. 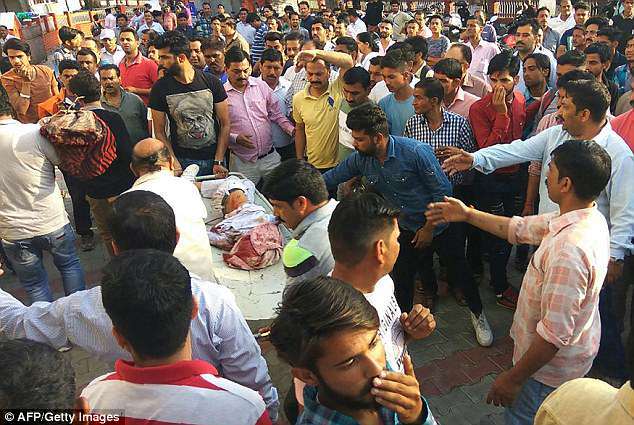 Chief minister Jai Ram Thakur said parents of children killed in the accident had been offered around £500,000 in compensation.